Situated about 147 kilometres from Pune and 290 kilometres from Mumbai, Tapola is a quaint hamlet at Mahabaleshwar, known for its breathtaking scenic beauty, strawberry fields, jungle treks and water sports. Although there are overnight buses that ply till Tapola, we highly recommend you to drive and enjoy an early morning road trip with the squad. A four-hour drive via NH48 through Panchgani, will lead you to Tapola. Click here for a detailed route description. What Is So Awesome About It? Tapola, with its magnificent lake and lush green backdrop, is known as the ‘mini Kashmir’ of West India. The beautiful strawberry fields are a must-visit here. You can enter the farm, chat with the locals and handpick fresh produce for INR 350 a kg. Drive down a few kilometres along the muddy road, and you’ll hit a 90-km long water body, Shivasagar lake, which is one of the biggest attractions at Tapola. The lake forms the backwaters of the Koyna Dam and looks spectacular especially at sunset. If you’re up for some adventure, go for kayaking and motorboat rides in the lake, starting at INR 1,000 for an hour. Post this, visit the village of Bamnoli on the shores of Shivsagar. The local Maharashtrian cuisine out here is bliss and very light on the pocket! You can drive down the ghats from Banmoli and head to Kaas Plateau, which will be at its full bloom during September. Click on our recommendation to read more on Kaas. End your trip with a small jungle trek through the dense forests of Tapola that, in fact, form the base to many exhilarating treks around the area, including Vasota. Make sure you finish your trek before sunset! If you’re looking to unwind and relax, Tapola is an extremely soul-satisfying place, especially during the rains. 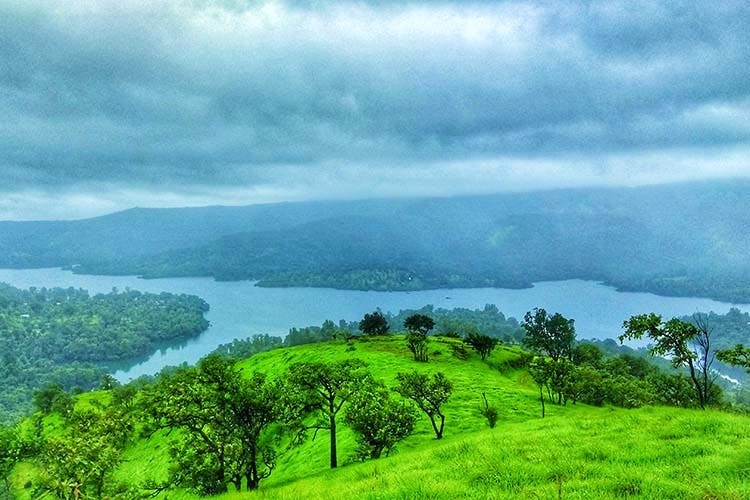 Did You Know There's A Hidden Hill Station Near Mahableshwar Which Is Called Mini Kashmir?